What If I Can't Receive Your Emails? How Can I use Unique Learning System, News-2-You and SymbolStix with my Blind or Low-vision Students? Why are Icons Grayed Out When I Sign In? How Can I Be Notified of Changes To The Site? How Do I Rewatch Professional Development Videos? How Can I Tell If I Am the Subscription Group Owner? If I Merge Two Groups Will I Still Be Able to Filter by Both Group Names? Can I Create Sub-Groups by Grouping Grouped Subscriptions? How Do I Check the Status of My Support Ticket or View My Chat Transcript? When Do New n2y Materials Become Available? As part of our system requirements you must be able to receive all emails from n2y. This helps provide a secure user experience. Ensuring you can receive all emails from n2y is the best preventative measure to ensure uninterrupted access to your subscriptions. 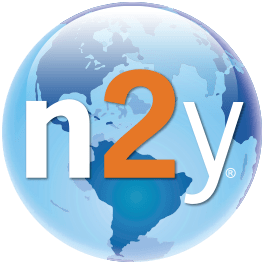 Click here for a list of n2y's system requirements. How Do I Add or Edit Teachers? What Do I Do If I Cannot Complete All The Content for the Day? How Do I Navigate to The Administrator Area?